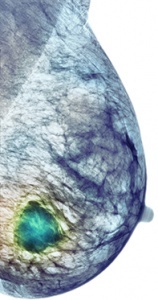 Fewer than 20% of women who are at risk of developing breast cancer strongly believe they need to take a drug proven to prevent the disease, according to research published in Clinical Breast Cancer. Researchers surveyed more than 400 healthy women who were at moderately-high to high risk of developing breast cancer from 20 centres in England about their need to take tamoxifen and beliefs about medicines in general. At inclusion, all women had discussed preventive therapy with a health professional. Almost three in four women reported strong concerns about tamoxifen’s long-term effects (72.4%) and more than half had concerns about side effects (56.9%). Many believed doctors used too many medicines (28.9%) or that they would prescribe fewer if they had more time with patients (35.3%). Almost one-quarter of the women said they had a poor understanding of tamoxifen (22.6%), and 22.8% reported they were particularly sensitive to medicines and had reacted to medicines in the past. Only 14.7% of the 258 women who provided data at least three months after their health professional appointment said they were taking, or had a prescription for, tamoxifen. Those with higher medication concerns were less likely to be among this group. Professor Kelly-Anne Phillips, consultant medical oncologist at the Peter MacCallum Cancer Centre in Melbourne, said the findings highlighted the importance of understanding a woman’s pre-existing beliefs and experiences with medicines when discussing preventive tamoxifen. ‘In my own practice, I am very aware of the potential nocebo effect with tamoxifen – where women who have strong concerns about side effects may experience significant side effects even if the substance is inert,’ she said. Professor Phillips told Medicine Today that although it was clearly essential that clinicians advised women of the negative side effects of preventive tamoxifen, it was also important to put these into perspective by explaining the absolute risk of experiencing them and the potential benefits. Professor Phillips led the development of iPrevent, an online tool that estimates a woman’s breast cancer risk and provides information on screening and prevention, including tamoxifen use (www.petermac.org/iprevent). Clin Breast Cancer 2018; pii: S1526-8209(18)30533-0; doi: 10.1016/j.clbc.2018.10.008.